Today I am going to share the recipe for Fresh Mango ice cream. 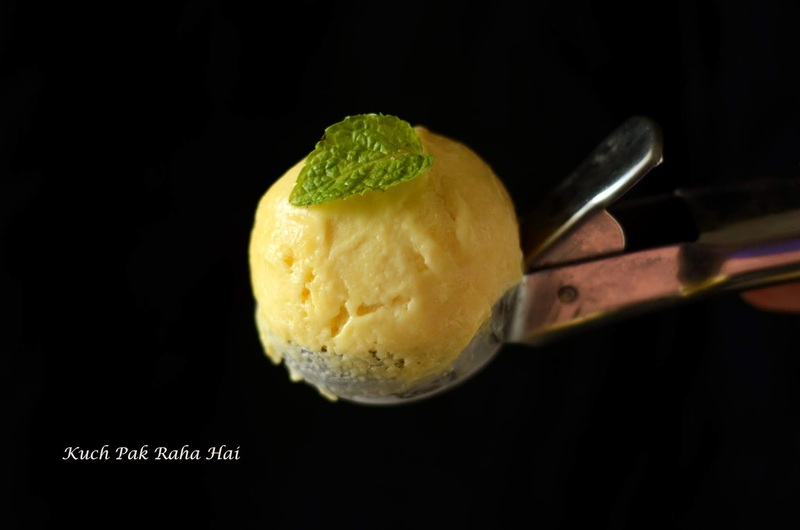 I have never liked the mango ice cream sold in the market (except for ' Sach Much ka Aam ' ice cream by Cream Bell brand. It is a must try!!) as most of them have artificial flavours and strong presence of mango essence completely putting off the taste buds. 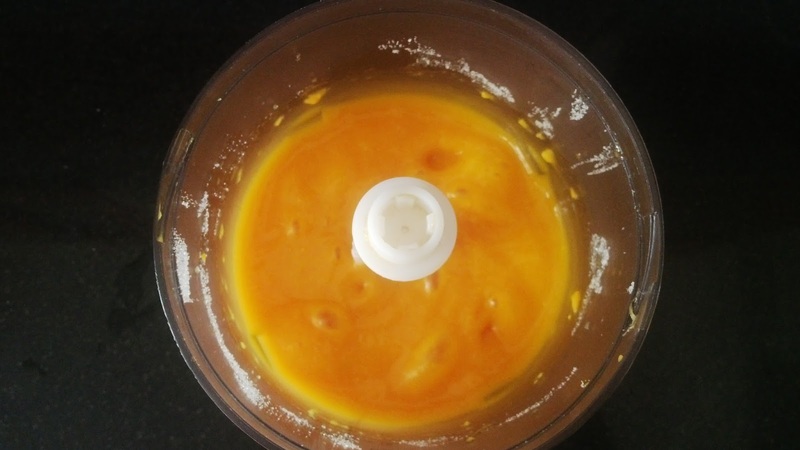 The best part about homemade mango ice cream is that it uses fresh mango pulp. No preservatives or artificial colours are added. Also, it is gluten free. 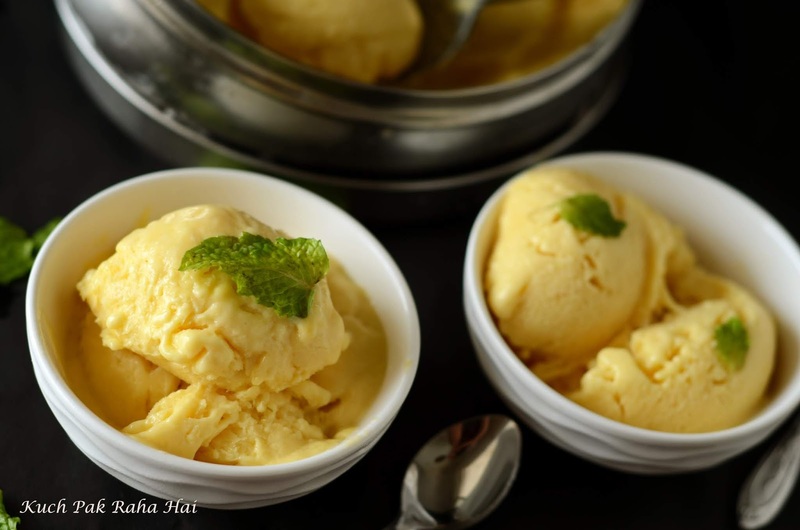 The mango ice cream recipe shared here uses just three simple ingredients which are easily available at home. 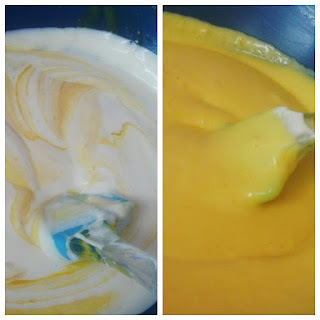 Whenever I say mango ice cream, it reminds me of my grandmother or "amma" (as we used to call her) who used to prepare it in hot sweltering summers when we were kids. The word does not bring the picture of mango ice-cream in mind but amma placing the steel container full of mango ice-cream in freezer. Strange, as I had said in my earlier posts also, how easy it is for a simple flavour to take you back to a moment which you had lived years before. The three ingredients used in this recipe are - fresh mango pulp, cream and sugar. Many people like to add vanilla essence to it but I prefer to skip it. I used approx. three small alphonso mangoes for preparing the mango puree and "Amul Fresh Cream" 200gm tetra pack for the preparation. Add sliced mangoes and powdered sugar in a blending jar (buy here) and puree them. Keep it aside. First of all chill the cream completely. If you are using Amul Fresh cream, Separate the liquid part from the thick part . Whip the cream till it is light and fluffy. The cream would almost double in volume. Make sure you don't whip it too much otherwise it will curdle up and butter would be separated from cream. Now fold the mango puree and cream gently. Do not over mix it or be harsh with the strokes. Fold till you get an even mixture. Transfer the mix in an airtight container, cover it with cling film and them with lid tightly (otherwise water crystals will form on the top) and keep it in freezer. After 2 hours, when it is half frozen, blend the mixture once again and freeze it for overnight or at least 4-5 hours.